Rachel Henson, Kirsten Powrie, Michael Hanley, Marcela Navarrete, Aisling Ni Chuinn. It was a great privilege to attend and support the annual European Legal Network on Asylum (ELENA) conference organised by the European Council for Refugees and Exiles (ECRE). 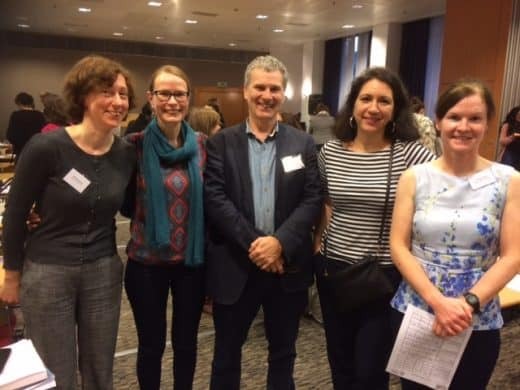 Wilsons sent five delegates to the conference and we all found it an incredibly useful and inspiring event. ECRE was established in 1974 and is a European network of 96 non-governmental organisations covering 38 European countries. Its mission is to protect and advance the rights of refugees and asylum seekers and displaced people. From the UK our professional body, ILPA, is one of the supporting NGOs. ELENA was established in 1985 and is a forum of legal practitioners promoting the very highest human rights standards for those in need of international protection. ELENA is one of the projects inspired by ECRE. This year’s conference was held in Athens and was attended by around 80 delegates from across Europe. The conference rotates to a different European city each year. In view of the continuing refugee crisis which has unfolded in Greece this year’s venue was particularly apposite. The conference opened with demands for genuine and effective legal advice for those seeking protection. It concluded with a passionate address by the director of the Asylum Service of Greece, Maria Stavropoulou. The Conference was practical and informative. It was structured around a number of keynote lectures and carefully prepared workshops. We received practical guides to bringing cases in both Strasbourg and Luxembourg. Conference speakers tapped into the rich vein of European case law dealing with protection issues. There were thought-provoking lectures on the interface between European refugee law and European Convention on human rights. Nuala Mole from the AIRE Centre gave a stimulating lecture on Access to Effective Remedies in Asylum cases. The workshops covered the Dublin III Regulations, Representing Children and Overcoming Access to Protection. It was a fantastic opportunity to meet and network with so many different European lawyers. Whilst the UK is set on Brexit, as lawyers acting for refugees we see the crying need for greater and deeper European cooperation. We certainly hope to pursue that with our European professional colleagues. ECRE produces an excellent weekly bulletin which is circulated free by email and which provides a comprehensive roundup of legal developments. You can subscribe at the following link. 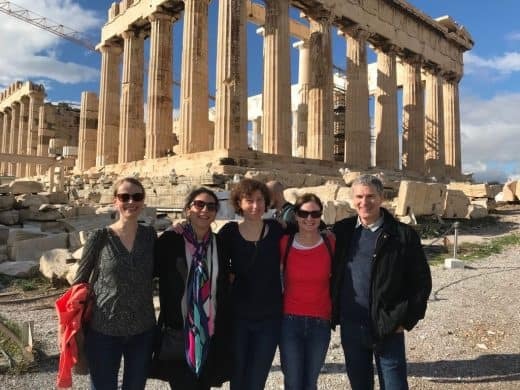 After the hard work of the conference there was a short opportunity to see some of the sites of Athens. Our visit to the Parthenon provided further time for reflection. As we walked around the cradle of European civilisation we could not but be mindful that it would have been built by slave labour.